Creating Epic with Technology. Literally! Introduce a TV channel with fun themed quizzes for the launch party. 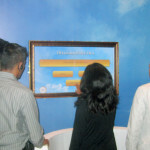 Objective: To introduce the faith based TV channel with fun themed quizzes on its launch party. EPIC Television Network Pvt. Ltd recently launched a genre specific Hindi entertainment channel. The channel programming is around Indian mythology and folklore in a uniquely contemporary format. Their requirement was very specific – how do you create a simple but fun activity for the launch party! We suggested going Multi-Touch. 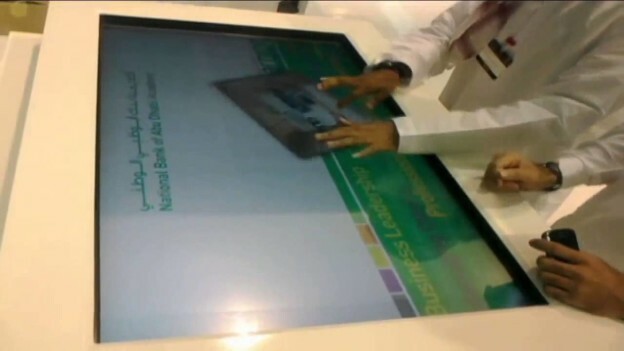 Content on Multi-Touch has many advantages for an occasion like this. Even simple content ideas are brought to life in a seamless and highly attractive manner. 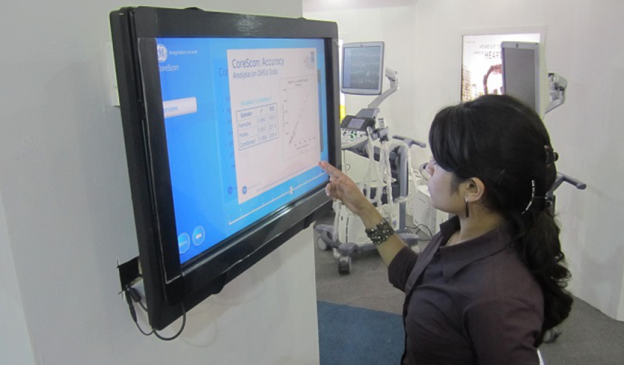 The interaction becomes smooth, controlled and the results are instant. Additionally integration with social media, wherein score or achievements can be posted to further social mileage. For this event, TouchMagix installed two 65” MagixTouch Overlays on LED screens provided by them. 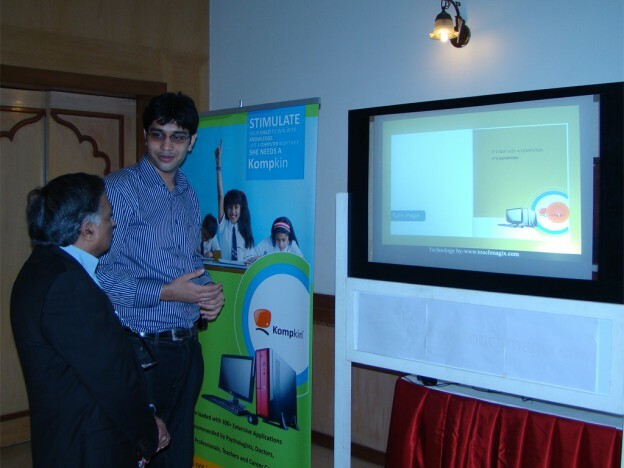 One 42” MagixTouch overlay where a quiz game we had created with questions from the Epic Mahabharata was run. 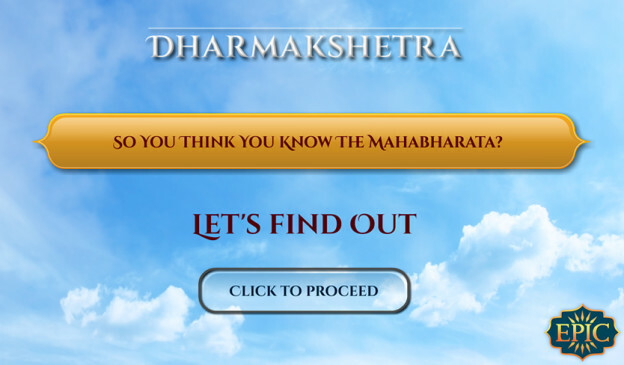 This was a specially branded quiz game created to introduce the new series Dharmakshetra. As a celebrated launch the event was attended by many from the Bollywood and Indian Television fraternity. Impact: Increased engagement for the launch event with branded and gamified content with social media connect and measurability. This entry was posted in MagixTouch, Television and Media and tagged MagixTouch, MagixTouch Overlay, Media and Entertainment, multi-touch, Multi-Touch Overlay, Overlay, television and media on November 27, 2014 by Touchmagix. 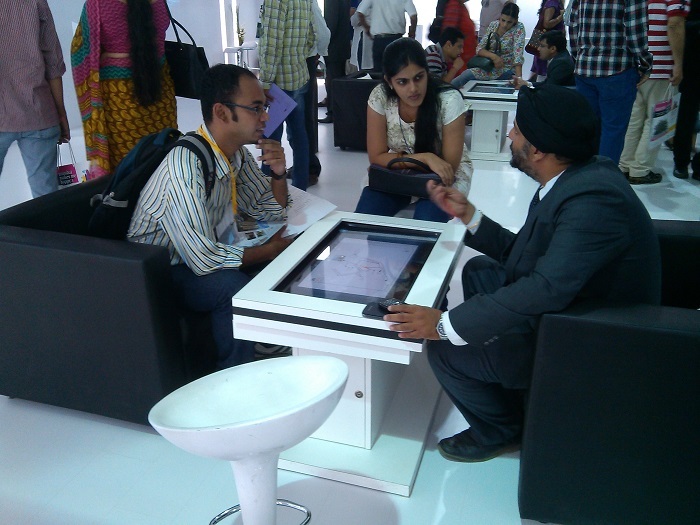 Objective: To showcase the various possibilities of Interactive technologies in a variety of industries. 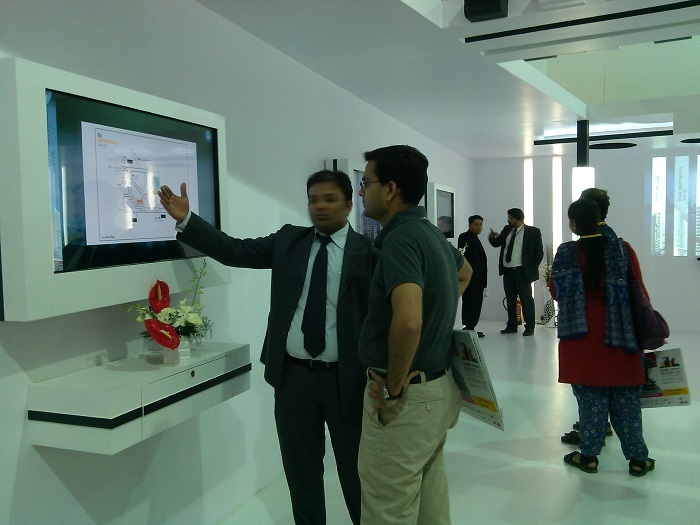 Samsung Enterprise Solutions Expo 2014 showcased innovation and leadership of Samsung’s Enterprise Business. 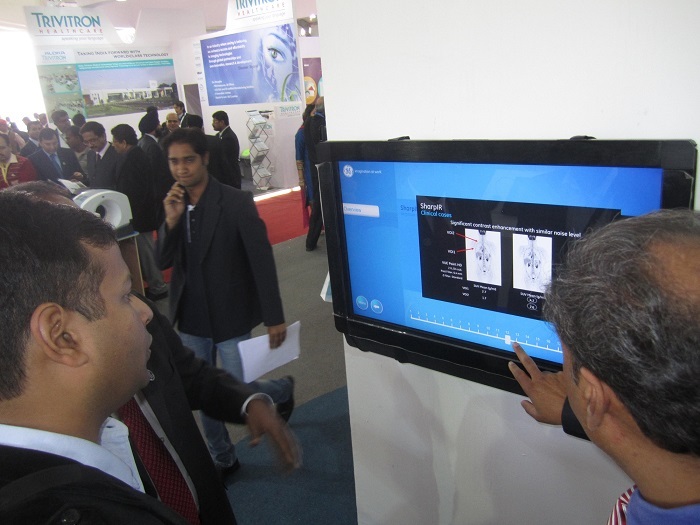 A two day event, the expo presented a whole host of technologies from Samsung and its partner companies for a variety of industries. 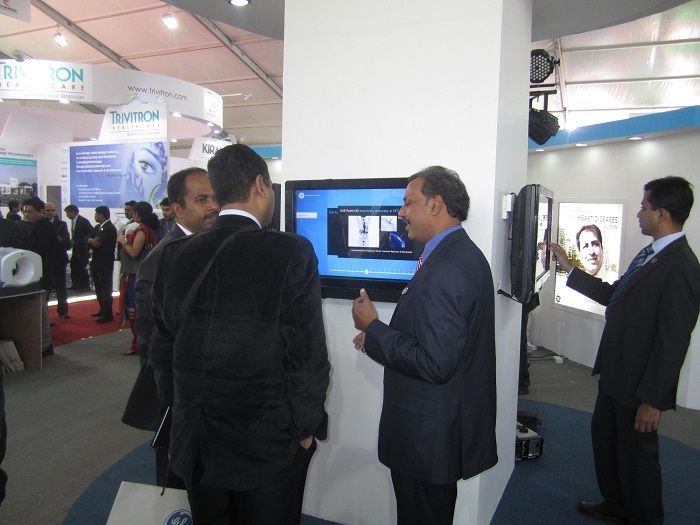 The Samsung Enterprise Solutions Expo 2014 also explored the interactive capabilities of TouchMagix’s technology in different environments such as retail, customer experience centres and banks. 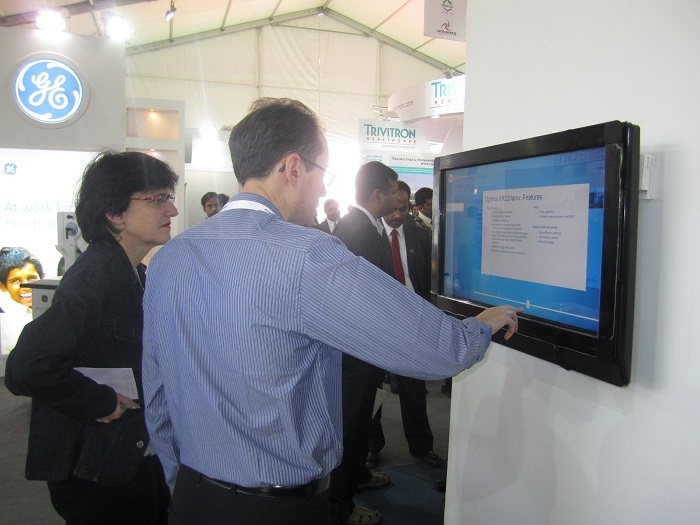 For this, TouchMagix used a MagixKiosk™, 46” MagixScreen™, MagixTable™. 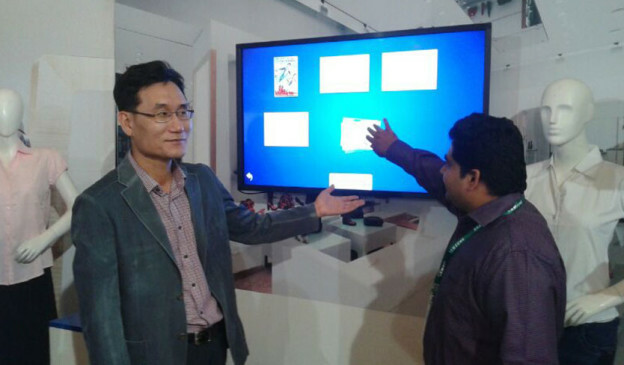 Along with this TouchMagix also deployed a 3*3 video wall with gesture technology to showcase Samsung’s rich history and corporate vision. 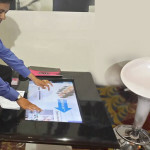 Impact: Samsung and Samsung partners found Inspiration and business use for the entire range of TouchMagix’ interactive products. 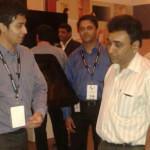 This entry was posted in Consumer and Retail, Corporate and Industrial, Event and Media, MagixTouch and tagged corporate, corporate event, enterprise solutions, Exhibitions, interactive magixkiosk, MagixKiosk, MagixKiosk Multi-Touch, MagixScreen, MagixTable, multi-touch, Multi-Touch Overlay, samsung on May 30, 2014 by Touchmagix. 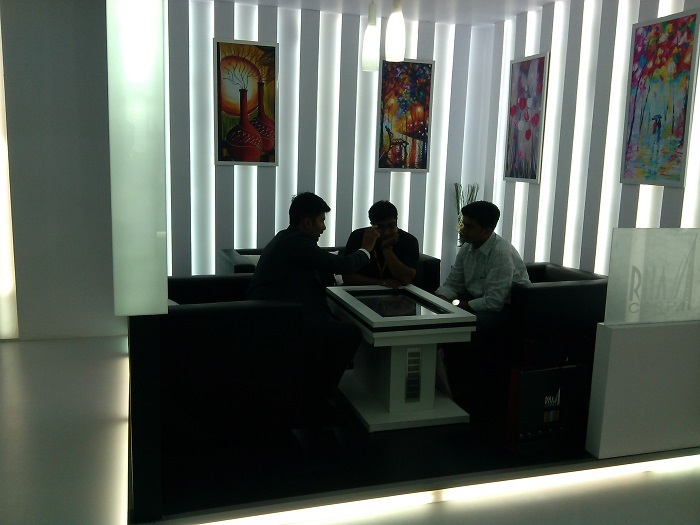 Leading Real Estate developer attracted visitors and dazzled them like never before. 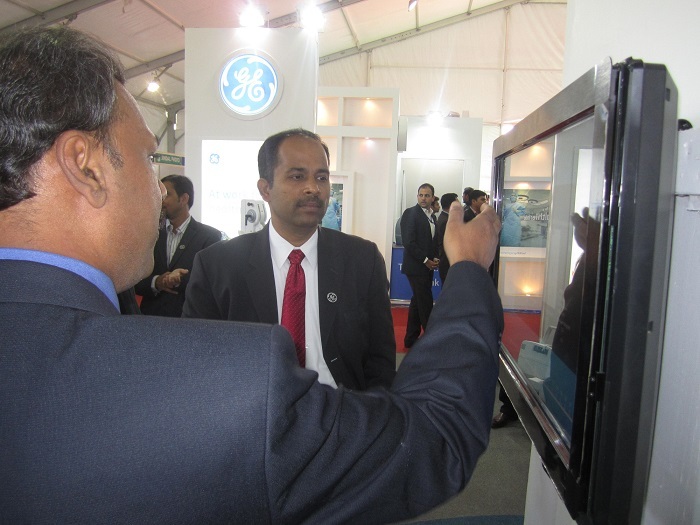 Objective: To differentiate their exhibit in a highly competitive environment. 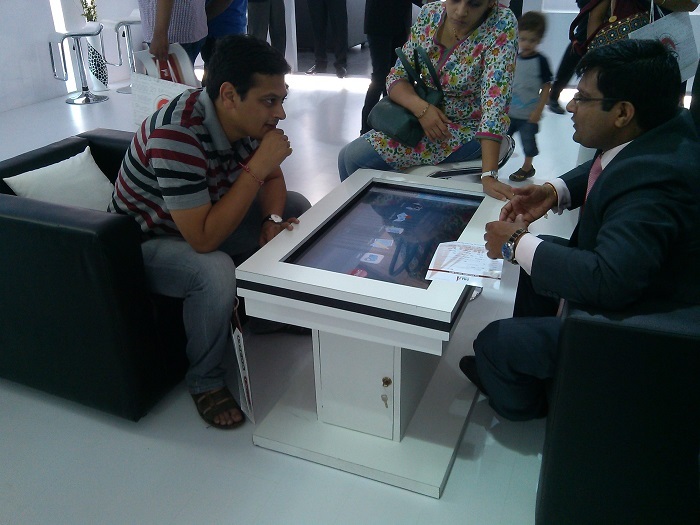 Brief: One of the leading Real Estate developers in the country was participating in the MCHI Credai Property expo in an environment where over a 100 exhibitors were vying for the attentions of thousands of prospective buyers. 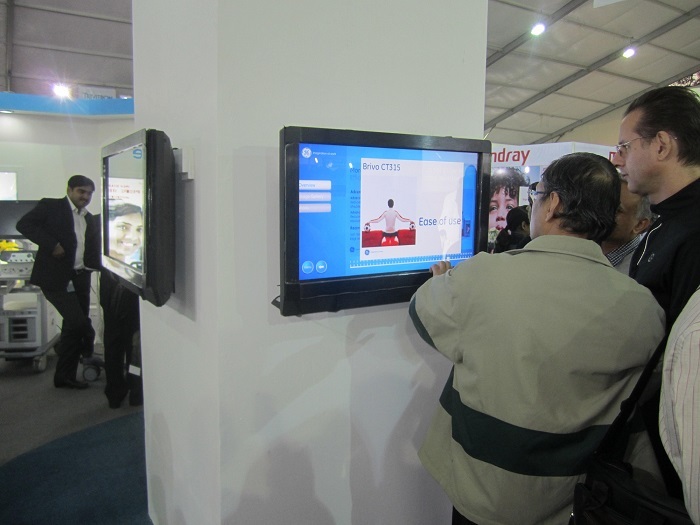 They chose to deploy a full range of Interactive solutions with eye-catching & informative content to leave a lasting impression in the minds of the visitors. 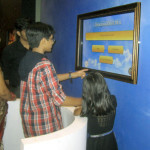 This ranged from their branding on the MotionMagix Interactive Floor interacting with visitors to on-demand information of their projects on the MotionMagix Interactive Wall & the MagixTables. 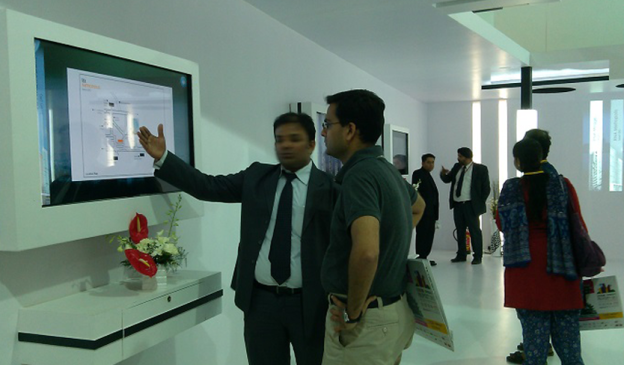 The stall caught the eye of visitors & exhibition organisers alike & ended up being among the most awarded in the show. Impact: The booth attracted visitors from among the prospective buyers visiting the exhibition & was able to make a mark due to it’s unique look. 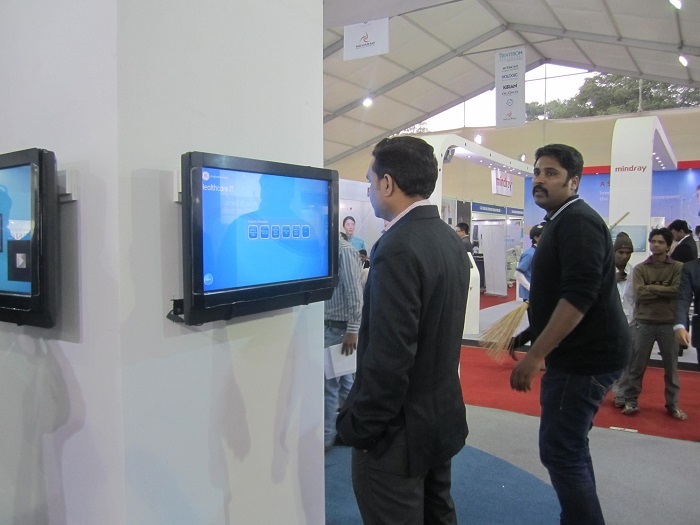 This entry was posted in Corporate, Exhibition, Real Estate and tagged Credai Property Expo, Exhibition, Expo, interactive wall, MagixTable, MotionMagix Interactive Wall, multi-touch, Multi-touch on wall, Real Estate, touchmagix on April 13, 2013 by Touchmagix. 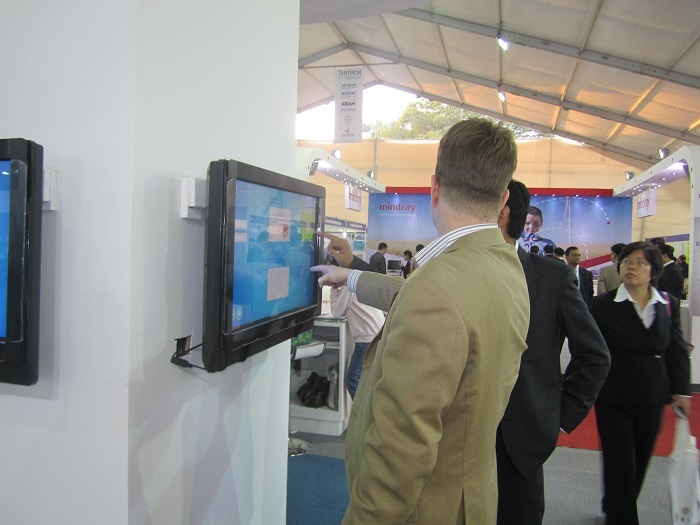 A highly successful installation where the delegates couldn’t stop appreciating the way information was laid out for them. 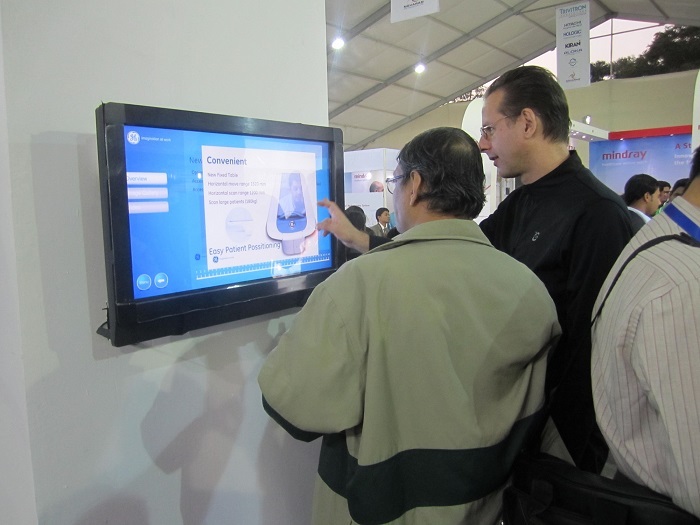 Objective: To display product information in an “easy-to-find” manner for extremely knowledgeable booth visitors. Brief: The customer was exhibiting at a leading International conference focused on a very specific field within the medical discipline. 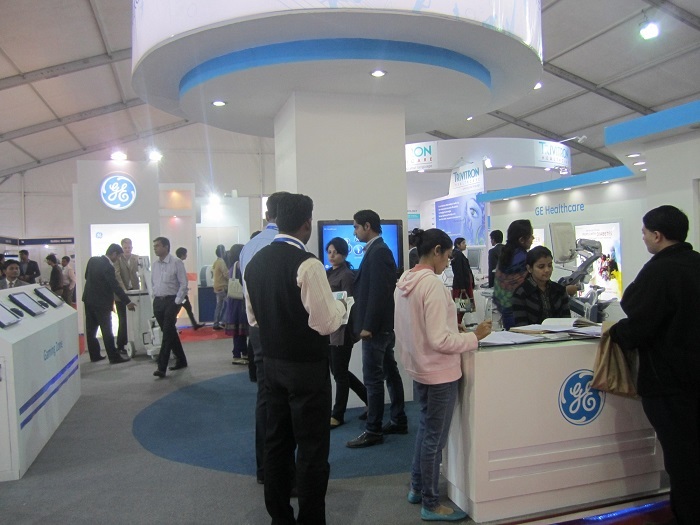 The delegates were doctors & other eminent experts in the area & the objective was to design the stall in a manner allowing the delegates to explore the exhibited products & models & find the information they were seeking. The media was made available in formats like PDF’s, videos, Image galleries, PPT’s and the visitor could browse and email the same. 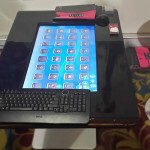 The Multi-touch MagixKiosk was the ideal system for the purpose – delegates were able to go through the presentations on the new technology & the innovations displayed & get all the information they needed. Impact: The display attracted a high delegate turnout & the feedback was that the delegates appreciated the way the information was laid out for them. 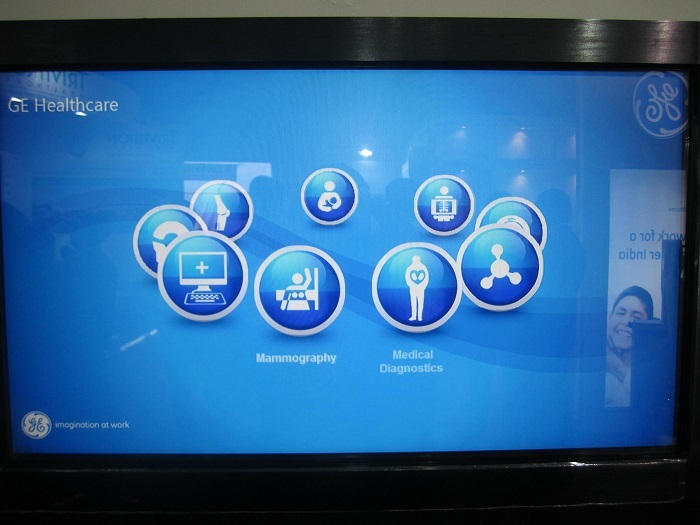 This entry was posted in Corporate and Industrial, Event, Event and Media, Exhibition, Healthcare, Pharma and Healthcare and tagged conference, Event, Exhibition, GE, Healthcare, MagixKiosk, multi-touch, Multi-touch Displays on February 10, 2013 by Touchmagix. Visitors made aware of the fascinating journey of Royal Enfield in an unforgettable manner. Objective: To drive home the extremely strong historical context of the brand and to reinforce the connect with its many fans. Brief: Royal Enfield is an iconic brand steeped in history. As the oldest bike in continuous production in the world it has legions of followers across the globe who consider themselves experts at every twist and turn in the story of the company and the brand values this sentiment tremendously. 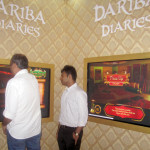 To give these committed brand advocates access to the complete history of the bike in one place and to indulge their need to check into specific points in the timeline Royal Enfield has provided an Interactive Timeline at the reception of their main factory in India. 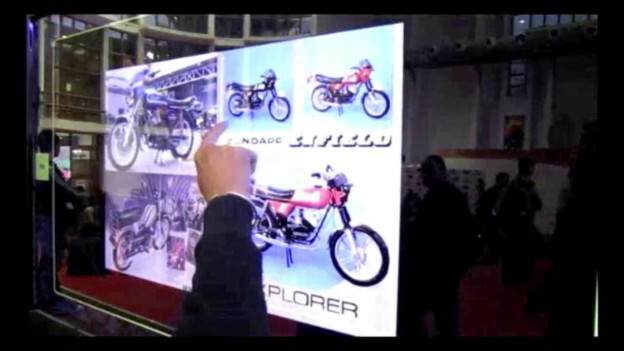 MagixTouch Multi-touch technology on a 65 inch screen brings to life this time line containing information about the bikes of the time, the designers, specifications, advertisements, press clippings and several nuggets of visually appealing information. Visitors can go forward and back in time and home into specific years and feed their fancy to the fullest. What a way to really get to know a brand and its fascinating journey through time ! Impact: The visitors are made aware of the fascinating journey of the brand in an unforgettable manner. 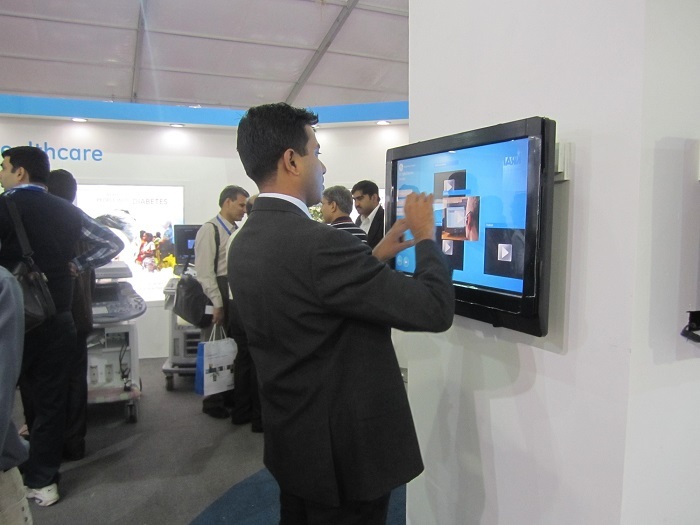 This entry was posted in Automobile, Consumer and Retail, Consumer Brands, Corporate and Industrial, Sports and tagged auto expo, MagixTouch, MagixTouch Multi-touch, multi-touch, Royal Enfield, touchmagix, touchscreen, WOW Effect on January 30, 2012 by Touchmagix. 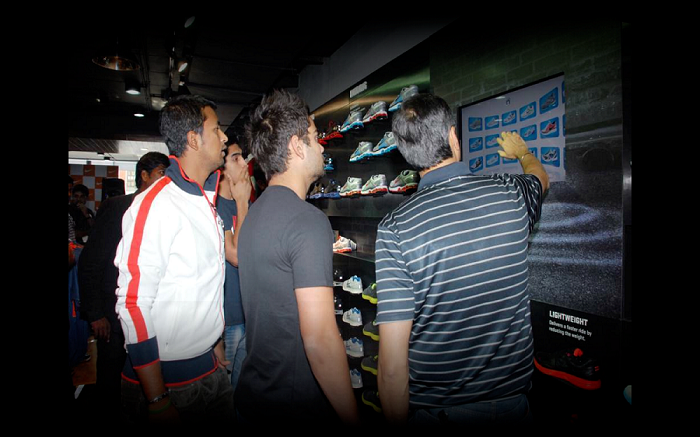 Nike engaged shoppers in the most unique fashion with Interactive wall. Brief: Nike leads the world when it comes to branding, marketing and retailing of sportswear. 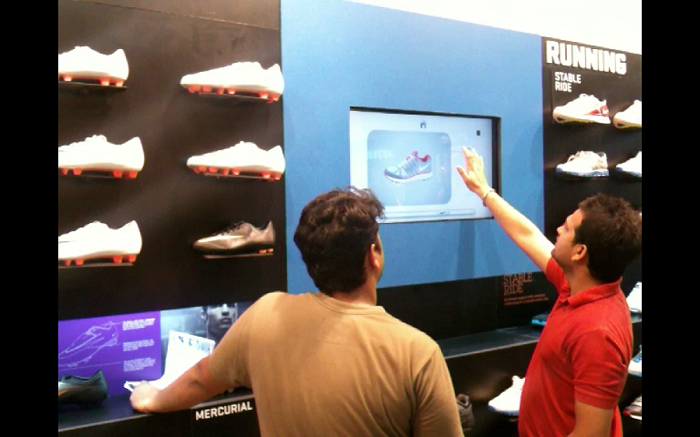 When they wanted to revolutionize the retail experience within their flagship Nike stores they decided to go futuristic with a MagixTouch Multi-Touch displays. 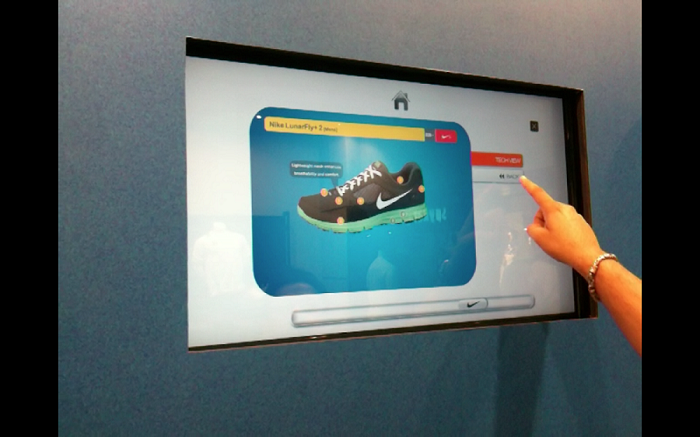 Shoppers were invited to browse the catalogue of shoes on a virtual shoe rack and flick through the many different models with a simple touch or gesture. The shoppers could also narrow down to a specific model and view more details like shoe-type, features such as cushioning, weight, model name, colors, including a 360 degree view. The shoppers were engaged more deeply with the product and this experience provided a vital connection right up to the actual trial and purchase – a futuristic concept for a product that is well-known for driving the future. 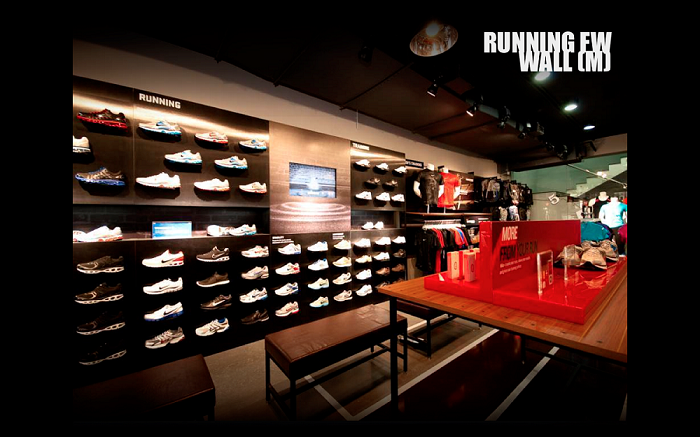 Impact: Nike continues to drive the future along with engaging the shoppers in-store in the most unique fashion. 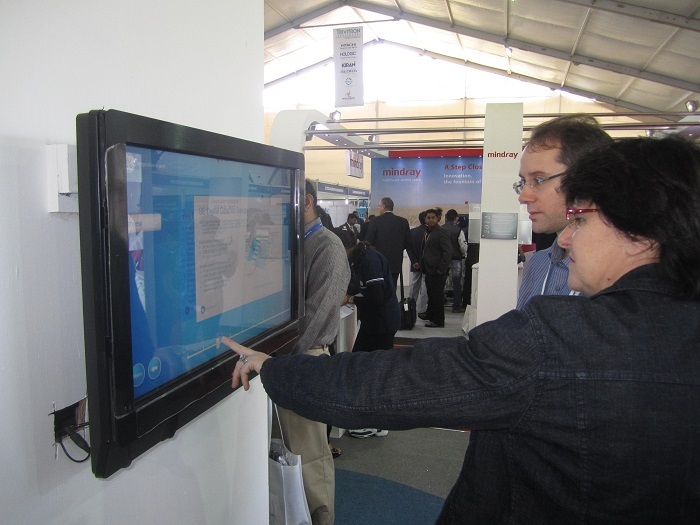 The installations also resulted in more educated shoppers. 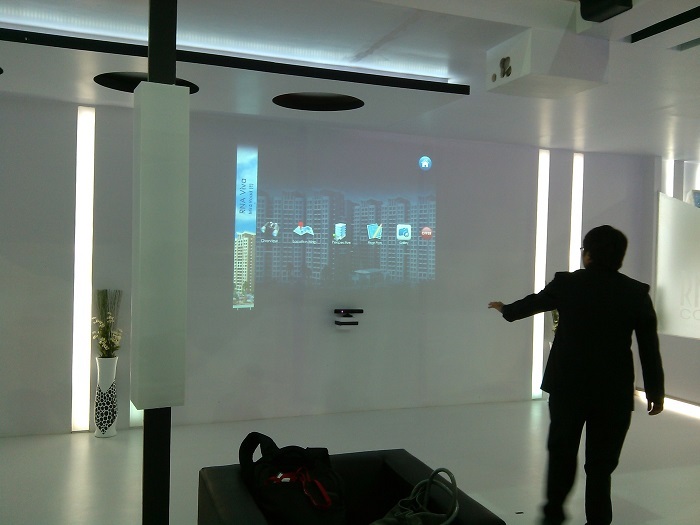 This entry was posted in Advertising, Consumer and Retail, Consumer Brands, High Tech, MagixTouch, Sports and tagged Branding, Intearctive Wall, interactive wall projection system, MagixTouch, MagixTouch Multi-touch, MotionMagix Interactive Wall, multi-touch, Nike, Retail on March 13, 2011 by Touchmagix. 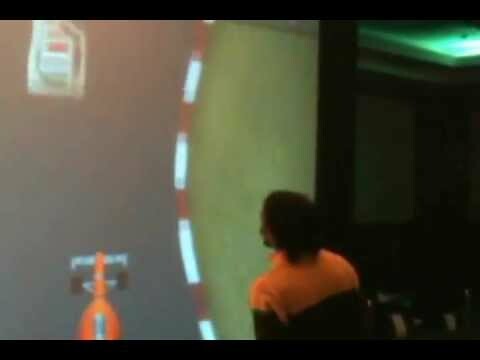 Castrol used Interactive floor and walls to launch their new products in various cities. 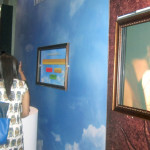 Interactive floor and walls being used by Castrol to launch their new product in various cities. The car runs faster and smoother on collecting Castrol oil packs. People are awestruck to see the interactive fire blaze. This entry was posted in Advertising, Consumer and Retail, Consumer Goods, Corporate and Industrial, Industrial, Petroleum and tagged castrol, Industrial, interactive floor, multi-touch, Product Launch on January 16, 2010 by Touchmagix. 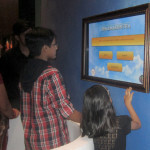 Touchmagix designed a multitouch Touchscreen quest game for merck pharma. 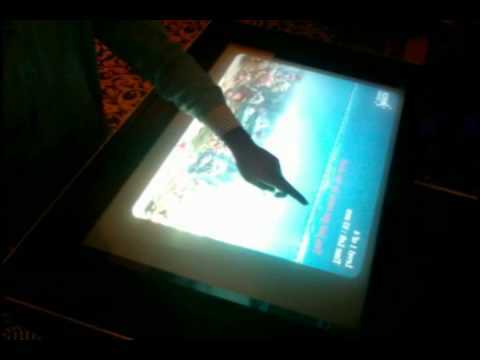 Touchscreen quest game. To answer a question, you need to navigate the diver to discover the pearl. Beware of the Sharks!!! 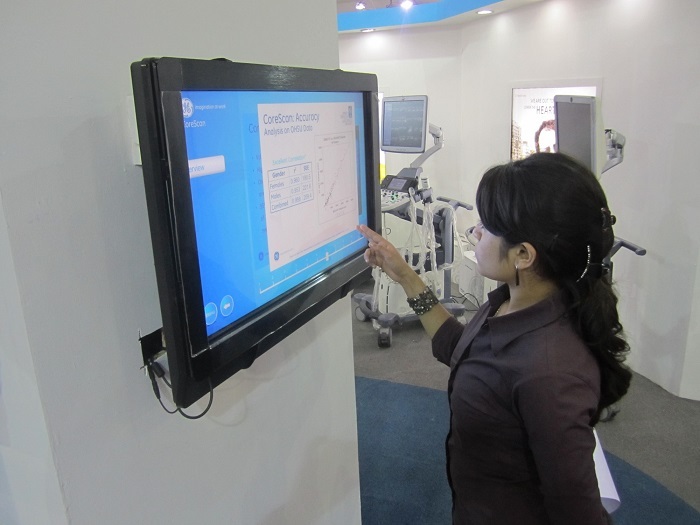 This entry was posted in Healthcare, Pharma and Healthcare and tagged Healthcare, India, interactive table, MagixTable, MagixTouch, Merck, Merck Pharma, Multi Touch Table, multi-touch, Pharma, Pharmaceuticals, Touchscreen game on January 15, 2010 by Touchmagix. 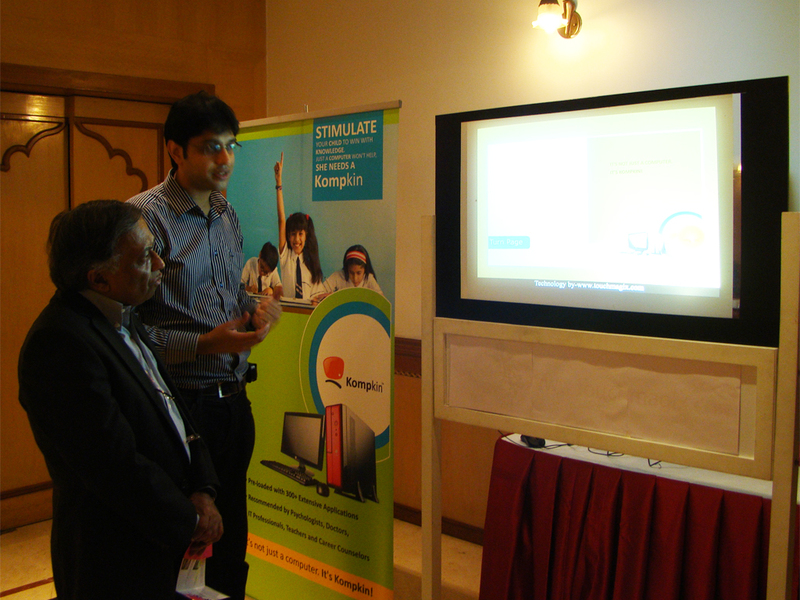 Launch of new range of educational desktops and laptops with a page flip template. Page flip template used to showcase features of new range of educational desktops and laptops launched. 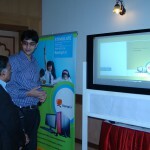 This entry was posted in Consumer and Retail, MagixTouch and tagged India, MagixTouch, multi-touch, Pune, touchmagix, touchscreen on January 15, 2010 by Touchmagix.